I remember the first time I tasted prawns. I had just moved to the Northwest from Minnesota and the closest thing I had ever seen to these beady-eyed creepers were the toe pinching mudbugs at the bottom of our lakes. Our family’s first taste of spot prawns was piled high in the kitchen, and my Dad said, “Dig in, kids, and if you’re really brave, you’ll slurp the juices right out of the head.” What, are you kidding me? Of course I did it, it was a great way to get my Dad’s proud smile when you’re from a brood of six kids. But yum! The head was delicious. It tasted like sweet ocean juices. Peeling off the shell, the body had a firm bite bursting with succulent salty flavor. On that day a new family favorite was born. These delicious, wild Pandalus platyceros have notable white spots on the dorsal portion of their bodies. But technically they are not prawns, they are actually very large shrimp. But please don’t tell them, the harsh revelation might cause a crustacean identity crisis! 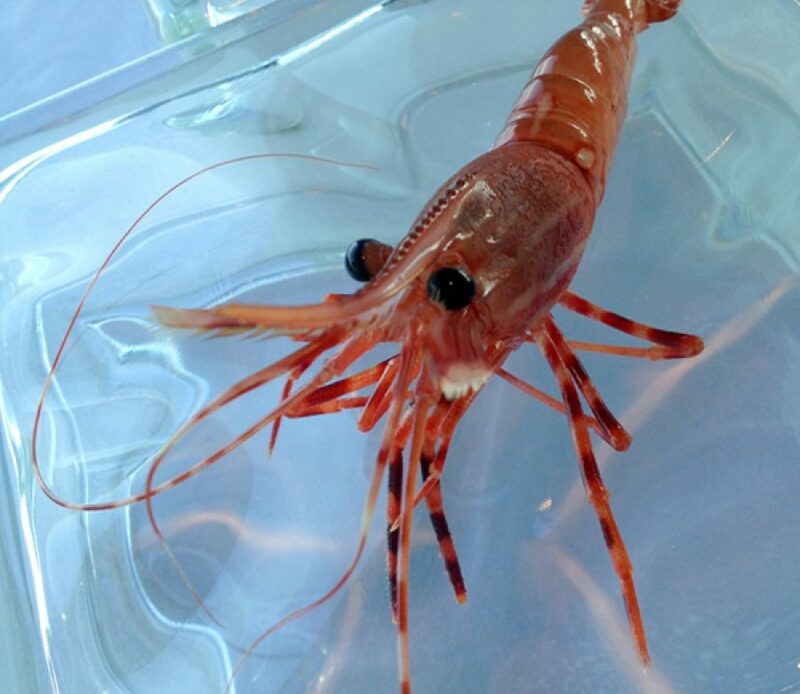 Spot prawns live in the deep Pacific Ocean waters ranging from the Alaskan Aleutians to Southern California, and the Alaskan wild catch is just becoming available this month. These shellfish enjoy a stable and sustainable fishery carefully watched over by the U.S. and British Columbia. The not-so-shrimpy spot prawns have the grand reputation of being the world’s sweetest and our nations favorite shellfish. So dive in and slurp up. Spot prawns are a very important part of our ecosystem as hard working members of the oceans’ cleanup crew. They scavenge the bottom for algae, dead organic materials and the shrimpier shrimp. Spot prawns then become the diet of the larger fish, and so it goes. Check out Salty’s “Be Shellfish Eat Me” Festival Recipes (don’t miss their awesome event The Prawnapalooza). And be sure to read Chef Jeremy’s Kitchen Talkblog See Spot Swim (includes where to buy fresh prawns at your local fish markets).